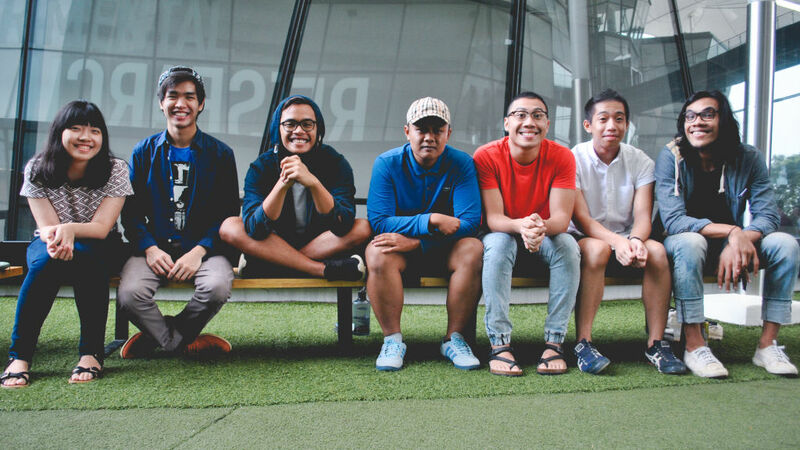 Boasting the most number of people to be on stage among the Baybeats Budding Bands this year, the seven musicians have an undeniably great rapport with one another and it shines through their musical collaboration. 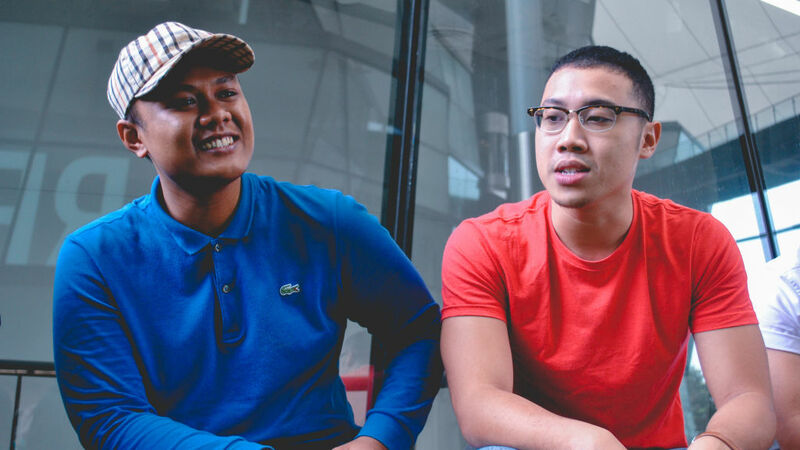 Adir Kaisan and The Cosmic Owls is made up of friends and family – Mahadir Kaisan, Ruben Lee, Muhammad Akif, Danny Dwi, Muhammad Adam, Emmeline Koh and Muhammad Azzlan. The septet performs together for live shows and they promise to share good vibes with everyone by sharing their own enjoyment of being on stage as well as their brand of chill, indie, funk-soul music. “I think people need to stop seeing this as a competition, but just see Singapore as a place with all types of music. Compared to other countries where they have their own brand of music, we don’t have something called ‘SG Pop’. Because the scene is so vast, and we have everything, so people need to stop seeing each other as competition. Instead, see each other as like-minded individuals with the same goal and all move up together,” Ruben shared. 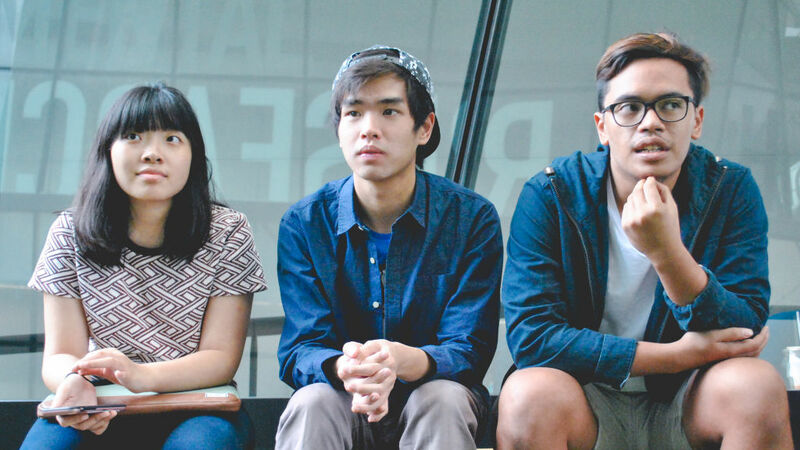 Popspoken sits down with the band at Lasalle to get to know each of them better, and to learn more about their up-coming EP “Life As Owls“. Popspoken: Share with us what is the concept behind the band. Adir: The concept behind it is just about collaborating with each other and telling stories based on life experiences through music. Picture a huge mutated animal that works out ideas together, enhances it and generally have a great time on and off stage! PS: How did this musical partnership come about? And with so many people working together, how do you guys manage? Adir: This musical partnership came about when I needed a live band for the 100 + 50 show last year. Back then it wasn’t as many as it is now. Haha. As time passed, we added additional musicians to the group as the previous ones had to part ways for overseas studies and work. It’s a little noisy now during rehearsals (thanks to Danny) but it’s really really fun working together with everyone! PS: Name a quirk you know about each other. Emmeline: Adir always has a new catch phrase every week. For now it is “LIT AF”. Adam experiences physical pain when he loses in Fifa. Akif is the most chill dooood ever! And he is not a hobo. Lan likes cats and also likes to buy for people drinks from the store. Danny doesn’t have any quirks because he is a quirk. Rubenzel is actually Rapunzel in (a rather bad) disguise. Everyone Else: Emmeline is a wannabe Disney princess. PS: What is the song playing on loop on your devices? PS: Tell us more about working on your EP “Life As Owls”. How has the process been like? Adir: The concept behind “Life As Owls” is about a journey. A new journey a person takes to reach the next chapter in life. It starts with a goodbye and ends with a rediscovery. The process has been an enjoyable experience! I co-produced the EP together with Aston Cowie (LV Recordings) and Giorgio Gobbo (G&L Studios) and the plan is to release it by Baybeats on the 24th of June. Collaborated with The Cosmic Owls and rapper Keo Aqma for two tracks. Had the chance to work with the talented Nidia Marissa (IG: @nidiamarssa) for the main EP design concept! Super excited for what’s in store! PS: What was your reaction when you finally received the announcement that you guys are part of the Baybeats Budding Bands? Adir: I was speechless. I mean it is something that I’ve always dreamed about and now it’s actually happening, I don’t know what to say! Very happy doesn’t suffice! Danny: I was very happy when we got in! Adam: Started dancing the robot dance and shouted “FUYOHHH!” like a hooligan. Ruben: My reaction was holy s***! The competition was so tight and it’s crazy cause it’s like a dream come true also! 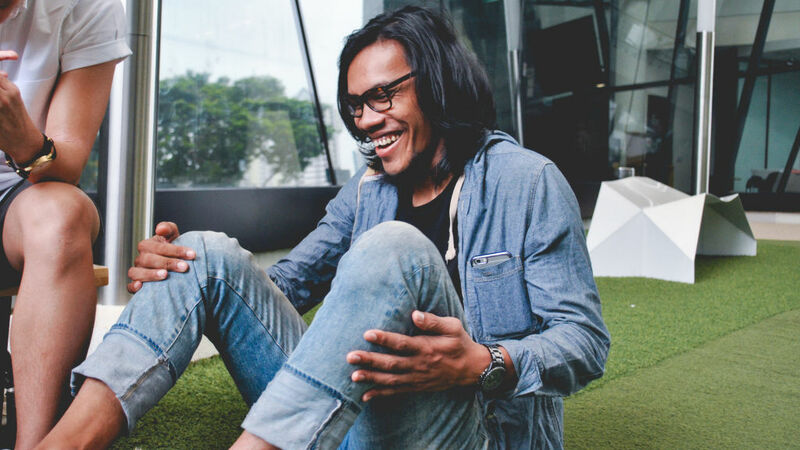 Chill out with them at this year’s Baybeats Festival that is happening from 24 to 26 June 2016!